A beautifully written story of friendship, discovery, myths, and magic that the London Times called "reminiscent of fantasy greats such as Philip Pullman and Neil Gaiman." Legends say that the island of Joya was once a place where songbirds sang in every tree and the islanders were free to come and go as they pleased. That was before the harsh-ruling Governor arrived, and ravens drove out the native birds. Now there are no songbirds, and the people are forbidden to travel beyond the forest that separates them from the rest of the island. But for Isabella, the legends of her island home have always seemed like more than just stories. 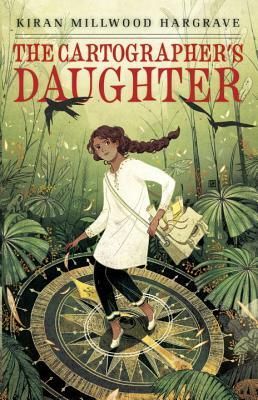 And when a series of mysterious events shakes the community, it’s Isabella—daughter to the island’s only mapmaker—who will lead a party of explorers into the forest in search of answers. As the group ventures deeper and deeper into the island, dark secrets begin to surface, and the legends Isabella has listened to all these years show signs of coming to life. Debut novelist Kiran Millwood Hargrave draws on the cultural folklore of the Canary Islands in this richly told story of a girl’s quest to map her own place in a world that legends alone have shaped. Kiran Millwood Hargrave is an award-winning poet and novelist. A graduate of Oxford University’s Creative Writing MA, she currently lives and writes in Oxford, England. Learn more about her at kiranmillwoodhargrave.com. "[R]eminiscent of fantasy greats such as Philip Pullman and Neil Gaiman."